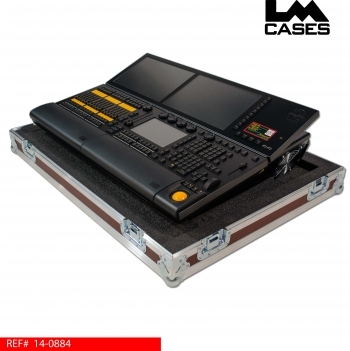 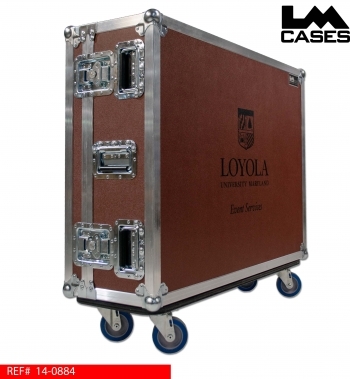 This case was designed for Loyola University to house their MA Lighting GrandMA2 Light console. 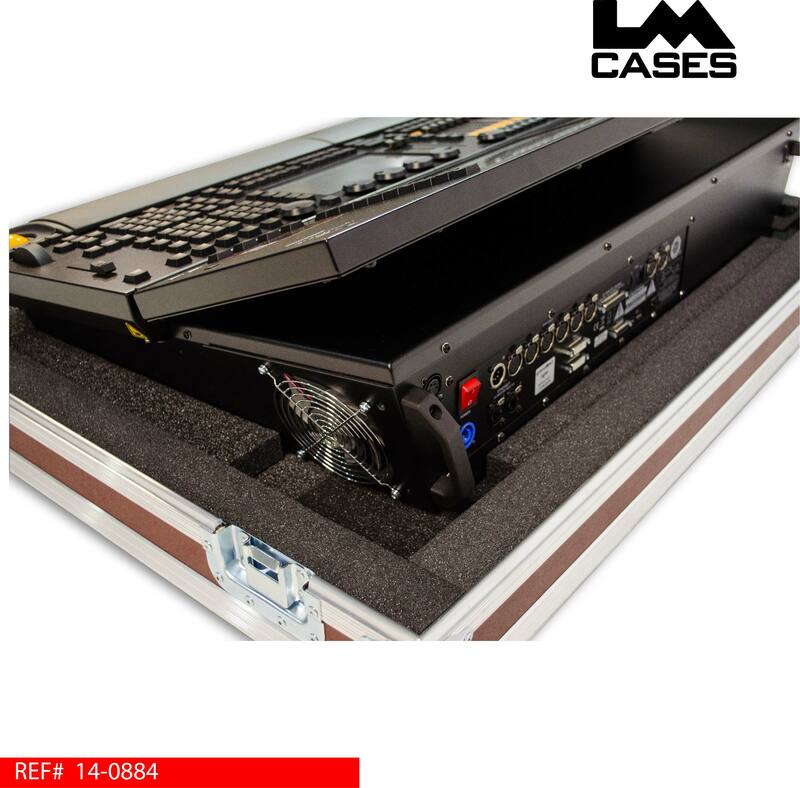 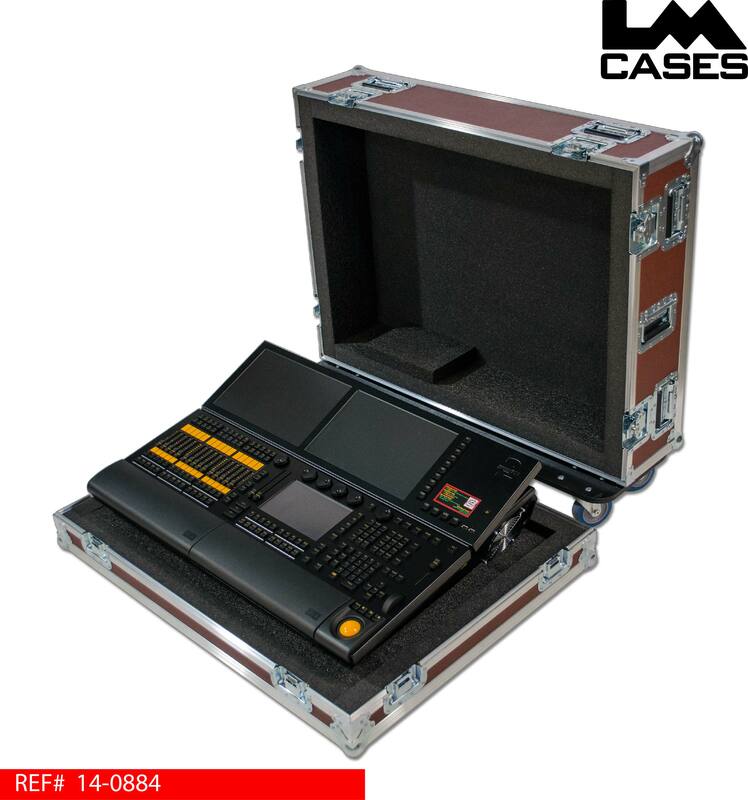 The case features a custom PE foam lined interior that contours all the angles of the console and its screens. 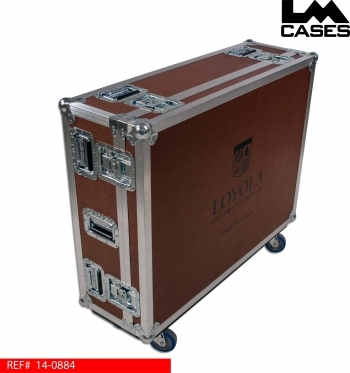 The case is built out of 3/8" plywood laminated with wine ABS plastic and featured deep recessed handles, 4" Colson casters and a custom silkscreen of the Loyola logo.